Exilis uses focused high frequency technology to redefine the appearance of the face and neck by reducing wrinkles and treating laxity of the skin. Exilis is a excellent treatment option for those with mild to moderate skin laxity and wrinkling of the skin around the eyes, cheeks, jawline, mouth, and neck. Treatment is generally safe for all skin types and age ranges. 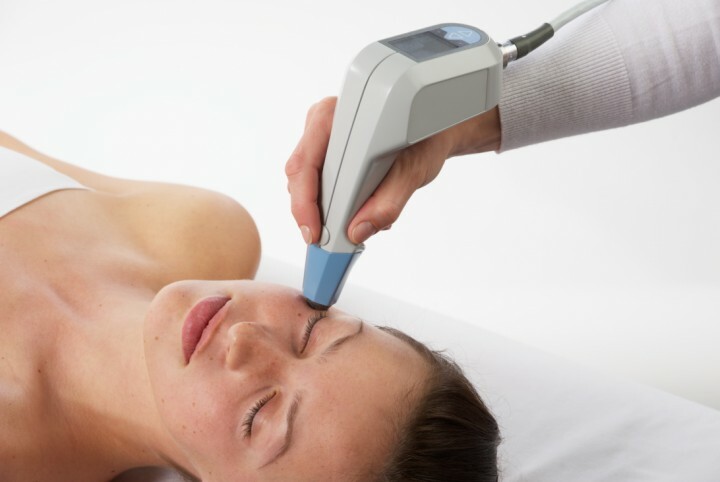 Scientifically proven and clinically tested, Exilis uses the most up-to-date focused radio frequency technology to penetrate the skin for stimulation of new collagen growth. Control of the flow of the energy and constant monitoring of skin temperature to reach therapeutic thermal effect helps ensure maximum results without patient discomfort or compromising safety. There is no downtime after Exilis treatments and optimal results are typically achieved after four, 30 minute sessions. Tightening of the skin around the eyes, cheeks, mouth, and neck are noticed gradually over several months as the natural process of collagen remodeling occurs. Many patient report their eye area appears less tired, their cheeks firmer, and the skin of the neck appears tighter.